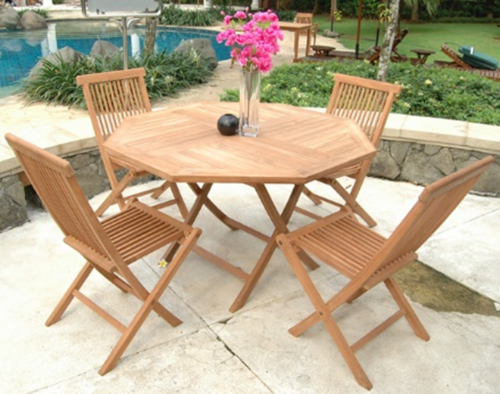 Our 60 cm Teak table with chairs for indoor or outdoors. This is a great accent to enhance your condo balcony! 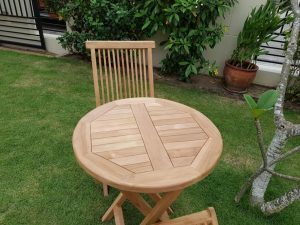 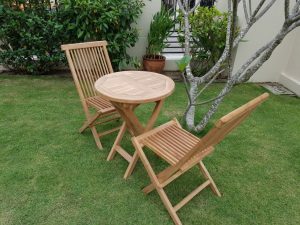 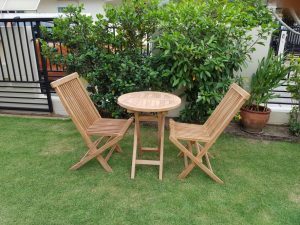 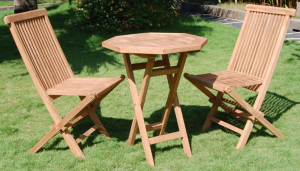 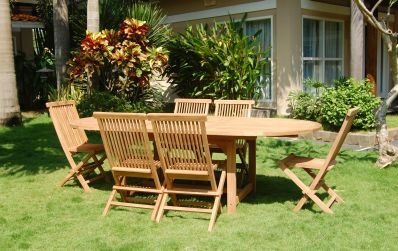 The Outdoors is a perfect showcase for this teak table and chairs. 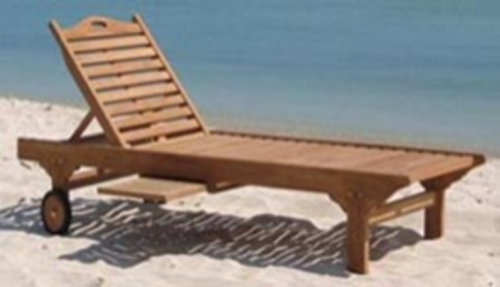 It’s not just made for the outdoor it can be used in the kitchen area or when you need extra table space.